There are many possible tours, themes and places of specialist interest. Here we name some of the main and popular tours that can always be adapted to suit your particular interests and time frame. In addition we can offer the standard full day highlights tour (or two half days), with the morning in Buda and the afternoon in Pest! This is the main art museum on the Buda side and has over 100,000 items reflecting Hungarian history from the Magyar Conquest to the present day. Permanent exhibitions: Mediæval and Renaissance Stonework, Gothic Wooden Statues and Panel Paintings, Late Gothic Winged Altarpieces, Renaissance and Baroque Art, the Habsburg Crypt, Nineteenth Century Hungarian Art and Sculpture, and Twentieth Century Hungarian Art and Sculpture. Housed in one of the most magnificent art nouveau buildings the main exhibits include: bottles, Italian majolica, Zsolnay ceramics, French furniture, and pieces of Augsburg gold ware from the baroque period. Hungary’s premier gallery of non-Hungarian works of art from early times right up to the present day is on display in a stately neo-Classical gallery at Heroes’ Square. The gallery began with a collection donated by Archbishop Pyrker of Eger and an extensive art collection purchased by the State in the 1870’s from the Esterházy family. Today, as well as Egyptian, Roman and Greek exhibits there is a particularly fine collection of Italian art, affording a comprehensive survey of the various schools of painting from the twelfth to the eighteenth centuries. The Spanish collection includes no fewer than seven masterpieces by El Greco. Like its neighbours Vienna and Prague, Budapest has a rich and varied selection of buildings and objects related to the Art Nouveau period. We could spend a full day walking around the city and seeing the major buildings and sites related to this glorious period without entering any museums or galleries! If you only have a half day we will focus on the most famous and beautiful buildings in the centre of the city.Those with longer can also visit some of the museums, cafes and building interiors. The memories of Art Nouveau mostly lie in two areas of Budapest: in Lipótváros (to the north of the Inner City), and City Park. However, several other buildings of this style are scattered in Budapest. House of Hungarian Art Nouveau. One of the hidden treasures of Art Nouveau architecture of Budapest, the House of Hungarian Art Nouveau opened its doors near Szabadság Square, in 3 Honvéd Street in October 2007. The house was originally designed by the architect Emil Vidor for Béla Bedő, who lived here for several years. Renovation work of the house was completed in 2004. At present it houses a unique temporary exhibition representing the refined world of Art Nouveau. The pieces are displayed on three levels and include paintings, furniture, decorative objects and interiors, giving an authentic insight into the atmosphere of middle-class life in Budapest in the „ happy pre-war times”. Visitors can enjoy the Art Nouveau coffee house and purchase original silver jewellery, replica ceramics or hand-made decorative objects recreated in Art Nouveau style in the Gift Shop. Academy of Music (VI., Liszt Ferenc tér 8.). The building was finished in 1907 after three years of work, based on the plans of Flóris Korb and Kálmán Giergl. The main entrance features a bronze monument of Liszt (by Alajos Strobl). There are 1200 seats in the 25×17-meter grand hall, and 400 in the minor hall. One of the key works of Hungarian Art Nouveau: „Source of Art”; a painting by Aladár Körösfői Kriesch can be found on the upper floor between the two entrances leading to the gallery of the grand hall. The entrance hall can be accessed through the Király utca side – during the school year. Philanthia Flower Shop (V., Váci utca 9.) — original shop interior and furniture. Former Török Bank, now residential building (V., Szervita tér 3.) — there is a huge mosaic on top of the facade. Kőrösy House (V., Aulich utca 3.) Note an image of a woman in red dress on the tiles in the upper part of the facade. Bedő House (V., Honvéd utca 3.) — a very special facade, with a lot of maiolic ornamentation. Former building of Gresham Insurance, today: Four Seasons Hotel (V., Roosevelt tér 5.) A MUST SEE! The magnificent refurbishment and the development of the 179 rooms cost over a hundred million dollars. It is worth looking at from every angle in the square and from the other side of the bridge as well. Budapest Zoo and Botanical Garden (XIV., Állatkerti körút 6.) It was opened as a private institution in 1865, and was taken over by the municipality of Budapest in 1907. After that, many of the buildings, the characteristic animal house were constructed based on the plans of the great figures of national Romanticism (Károly Kós, Dezső Zrumeczky, Kornél Neuschloss), applying an alloy of Art Nouveau and Hungarian style. You should see the twelve diminutive stone polar bears, over the two full-size stone elephants, that guard the entrance – and many other things. Zala Villa (Ajtósi Dürer sor) — The house belonged to a famous and rich sculptor at the turn of the century, now it gives home to the Embassy of Libya. Balás Villa (XIV., Hermina út 47.) — It is a famous villa designed by Ödön Lechner and his associates. The owner left the building to the Society of the Blind and Sight Impaired in his final will. The society still operates here today. Dob utca School (VII., Dob utca 85.) It has special mosaic ornamentation, built in 1906. Institute of Geology (XIV., Stefánia út 14.) — This special building was constructed based on Ödön Lechner’s plans. Appropriately, it has a globe on the roof. „Status Quo” Synagogue (VII., Rumbach Sebestyén utca 11.) It was designed by the famous architect of Vienna, Otto Wagner, early in his career. The traditional exterior covers a modern cast iron internal structure. Jewish Cemetery (X., Kozma utca 6.) The cemetery was established in 1893, and it bears the signs of architecture at the turn of the century. The tombs of the Schmidl and Wellisch families are also masterpieces of the Art Nouveau style, among many others. Hotel Gellért and Spa (XI., Szent Gellért tér) — the hotel was opened in 1918. Its characteristic spa was built in the Art Nouveau style. Entry from the side. We will end the tour here at the Gellert Café and those who want to take a spa, swim or massage can stay on (not included). (Further information: http://www.danubiushotels.com/gellert). The success of modern Budapest was significantly due to the diligence and organizational skills of Jewish industrialists. There are still many memories of the period. The Jewish Museum reminds one of the religious traditions, while the Holocaust Centre, which was opened in 2004, reminds you of the terror. After 1990, a real Jewish cultural Renaissance began in Budapest. The city has the most populous active Jewish community in Central Europe, who cherish their religious, artistic and historical heritage. There is a much larger population of Budapest inhabitants with Jewish origin, who consider themselves Hungarian and do not practice their religion, but are interested in the history of their ancestors. The Grand Synagogue and the Jewish Museum (VII., Dohány utca 2-8.) The largest currently functioning synagogue of Europe was finished in 1859, in Neo-Moorish style. The two bulbous domes are over 43 meters high. The interior space has a flat ceiling and a capacity for nearly three thousand believers: there are 1497 seats for men on the groundfloor, while the two galleries on the upper floor have 1472 seats for women. The nave was built with a cast iron straight arch of a 12-meter span. Originally, the synagogue was built among residential houses. One of them was the birthplace of writer and journalist Theodor Herzl, the founder of the Zionist movement. The arcade and the Heroes Temple with a capacity of 250, which is now used for daily observance, were built in 1931. The Holocaust Memorial was erected in the garden of the Dohány utca synagogue in 1989. It is situated above a mass grave of 1944-45. All leaves of the metal weeping willow have the name of a martyr carved on them. Jewish Museum (VII., Dohány utca 2.) On the left of the grand synagogue, the building was erected in 1932. Its treasures survived World War II in the basement of the National Museum. Orthodox Synagogue (VII., Kazinczy utca 29-31.) Interestingly enough, the Jewish group of traditionalists had such a building constructed, that was quite modern at the time. It fits very well with the streetline that is broken there. Ritual bath — mikve) (VII., Kazinczy utca 16.) Budapest’s only ritual bath, which has „live water” (of natural source, not going through the drainage system), in compliance with the requirements of religion. Hanna Restaurant (Dob utca 35.) The Kosher restaurant is an interesting spot in Erzsébetváros. In fact, it lies in the yard of the church in Kazinczy utca, but its entry opens to another street. Kádár Restaurant (VII., Klauzál tér 9.) It is a small, traditional restaurant, where strangers sit together at the few tables, which all have soda water in the middle. The menu always includes sholets i.e. bean stew. One of the significant gastronomic relics of the old Pest. Frőlich Confectionery (VII., Dob utca 22.) It offers a complete range of Jewish pastry, including the „flodni”. Holocaust Memorial Centre (IX., Páva utca 39. http://www.hdke.hu) Public transport: Take Underground Line No. 3 to Ferenc körút. This special building complex, which consists of a synagogue refurbished for museum purposes and a newly built section, was opened in 2004 for the 60th anniversary of the Hungarian Holocaust. The institution conducts research, collection as well as educational activities. The building also has a memorial wall of the victims, which will gradually feature the names of all Hungarian victims, probably over half a million. Former Jewish grammar school (XIV., Cházár András utca 10.) The school is presently named after Miklós Radnóti, the poet of Jewish origin (who considered himself as a Catholic Hungarian). It was built in 1934 by a great architect of the day at the side of the City Park. Óbuda Synagogue (III., Lajos utca 163.) — Óbuda had a populous Jewish community in the 18th century and early 19th century. Their synagogue was built in Classicist style in 1821. It functions as a television studio today. Memorial of Raoul Wallenberg (II., corner of Szilágyi Erzsébet fasor and Nagyajtai utca) The monument of Raoul Wallenberg, who had saved thousands of Hungarian Jews, was erected in 1987. The sculpture is a work of Imre Varga. The bronze figure of the Swedish diplomat is standing between to rock walls. There is a carved image of a man struggling with a snake at the back of the stone. 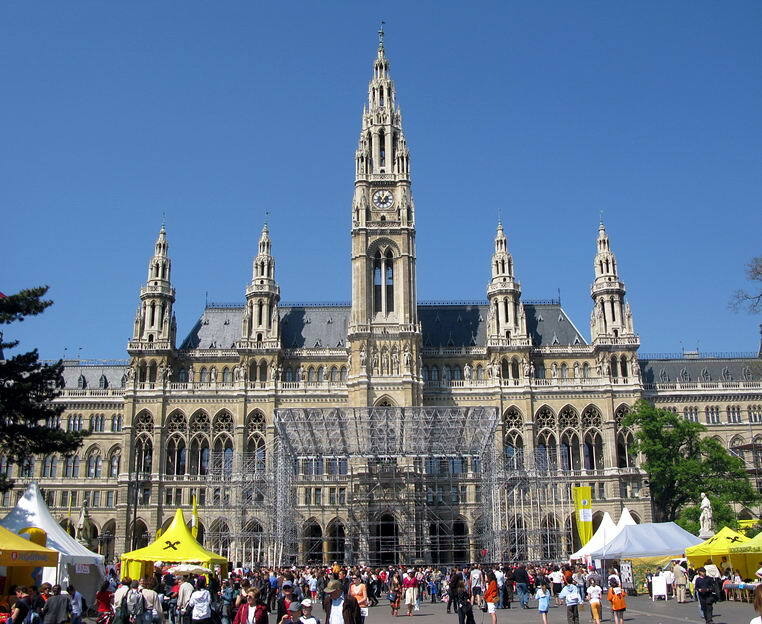 VIENNA is rich in cultural history and full of interesting sights and museums and buildings. It has an efficient and modern transport system allowing you to walk or hop on a tram and see all the main city sights with ease. In addition to the more traditional imperial Vienna rich in history, there is a young vibrant scene and many alternative and interesting projects and movements. You will certainly feel like returning once you have sampled a taste of the citie’s riches and Apple Strudel or Sacher torte! Walk in the footsteps of the Habsburgs, visit the splendid baroque Schönbrunn and Belvedere Palaces, or stroll along the magnificent Ring Boulevard and take a look at the heart of the former vast Habsburg empire, the Imperial Palace. Get a sense of the luster and glory of the old empire by visiting St. Stephen’s Cathedral, the Spanish Riding School, the Giant Ferris Wheel at the Prater, as well as the sarcophagi in the Imperial Vault. We finish at an Imperial Coffee Haus! Treasury (Schatzkammer) The most important treasury in the world is reason indeed to be amazed: Here, in the oldest part of the Imperial Palace (13th century), you find not only the Emperor’s Crown of the Holy Roman Empire (circa 962) and the Austrian Emperor’s Crown (1602), but also the Burgundian Treasure from the fifteenth century and the Treasure of the Order of the Golden Fleece. Fascinating treasures from the possessions of the Habsburgs, among them a “unicorn” almost two and a half meters long, are exhibited here together with the crown of Emperor Rudolf II (1552-1612). The orb and scepter, the insignia of the imperial house of Austria, were symbols of might and dignity for centuries. The entrance to the Treasuries can be found in the Schweizerhof, whose name is reminiscent of the Swiss Guard that was once posted here. The Imperial Apartments & The Silver Vaults. Today, the former private apartments of the imperial family in the Imperial Palace are open to the public. Emperor Franz Joseph and Elisabeth lived here with their children and the entire royal household. From this location they represented the realm of the Habsburg and directed its politics. One can see not only the rooms for the officers of the imperial household, the large Audience Hall (with a painting by the Biedermeier painter Peter Krafft) and the Conference Room, where ministers and the crown council held their meetings, but also the office of Emperor Franz Joseph as well as the living room and bedroom of his wife, numerous salons and an old-fashioned bathroom. The rooms are in the Rococo style, with rich stucco work and valuable tapestries from Brussels (17th and 18th centuries), chandeliers made from Bohemian crystal and tiled stoves made from porcelain. The furniture, added in the 19th century, is in Louis XV and Empire styles. The full day tour can include a visit to the Palace of Schonbrunn and one of the major art museums. Acquaint yourself with Vienna’s culture as you stroll through the old city on this guided walking tour, following in the footsteps of Empress Elisabeth – ‘Sisi’ of Austria. You will start the walk with a visit to the Imperial Crypt, the burial place of the Habsburgs, where Empress Elizabeth ‘Sisi’ is also buried. Then follow Sisi’s footsteps on a guided tour through the glittering Hofburg, official residence of Empress Elizabeth and Emperor Franz Joseph. In 1854 Emperor Franz Joseph of Austria married Elizabeth, who with her charm and natural grace soon became a fairy-tale princess in the eyes of the public. Empress Elisabeth of Austria, affectionately known to millions as ‘Sisi’, was as intelligent as she was extravagant, and was decades ahead of her time. Even a century after her death, Sisi’s hold on the popular imagination remains undiminished. This can be seen in the popularity of Sisi films and the musical ‘Elisabeth’, which has run for years in Vienna. The sites where the empress lived, including the Hofburg, continue to draw tourists from the world over. Sisi Museum. The Sisi Museum in the Imperial Apartments of the Imperial Palace compares the myth and the facts. Among the highlights are numerous personal objects once owned by Elisabeth as well as the most famous portraits of the beautiful empress. Elisabeth’s private life is at the center of the exhibition: her rebellion against court ceremony, her escape into a beauty cult, her obsession with being slim, athletic performance, and effusive poetry. From the carefree time as a young girl in Bavaria to the surprising engagement with the Austrian emperor to her 1898 assassination in Geneva, the museum shows the restless life of the legendary empress. On view are some of the few remaining summer dresses , the reconstruction of the dress worn by the young bride on the evening before her wedding as well as the Hungarian coronation dress, famous portraits, a 23-piece travel toiletries set , a miniature secretaire with envelopes pained in Elisabeth’s own hand, Sisi’s watercolor painting box, a 63-piece first-aid kit and an accessible reconstruction of Sisi’s luxurious imperial saloon car . Items on display from her childhood include her harp , which she brought with her from Bavaria, and a reconstruction of a child’s dress. Sisi’s 6-piece mourning jewelry in onyz and jet , which she wore on her mourning dress following the death of her son Crown Prince Rudolph, is also on display here in its entirety. The black coat with egret feathers , which covered Sisi after her assassination on Lake Geneva and in which she was taken to the Hotel Beau Rivage, reminds one of the tragic incident as much as the death mask of the murdered empress. Sisi was also possibly the world’s best female equestrian. She trained as hard as a professional sportswoman for years to achieve this goal. At the Spanish Ridin School in the Hofburg, you will have the opportunity to watch the training of the world famous ‘Lipizzaner horses’, where the tradition of the High School of Riding is still cherished. If there is no show scheduled you can visit the interesting museum. Sisi’s 6-piece mourning jewelry in onyz and jet , which she wore on her mourning dress following the death of her son Crown Prince Rudolph, is also on display here in its entirety. The black coat with egret feathers , which covered Sisi after her assassination on Lake Geneva and in which she was taken to the Hotel Beau Rivage, reminds one of the tragic incident as much as the death mask of the murdered empress. Sisi was also possibly the world’s best female equestrian. She trained as hard as a professional sportswoman for years to achieve this goal. At the Spanish Ridin School in the Hofburg, you will have the opportunity to watch the training of the world famous ‘Lipizzaner horses’, where the tradition of the High School of Riding is still cherished. If there is no show scheduled you can visit the interesting museum. The city of music where Mozart lived and died, Beethoven lived on and off in several houses, the Strauss family created the famous Viennese waltzes, the Opera House staged frequent first showings of famous operas…..and on it goes! 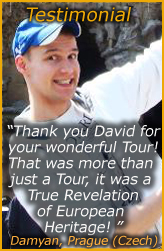 Here are a few of the highlights of the MUSIC TOUR. House of Music (Haus der Musik) is a modern, interactive museum dedicated to sound and music, and located in Vienna’s first district. Spread out over several floors, visitors are invited to playfully make new discoveries and music, and to actively participate in the museum’s exhibits. The House of Music was awarded the Austrian Museum Prize for its innovative design and is located in the former Palais of Archduke Charles. At one time the Palais was the residence of Otto Nicolai (1810 – 1849), who composed the opera “The Merry Wives of Windsor” and founded the Vienna Philharmonic concerts here. A total of 5000 square meters has been set aside exclusively for areas dedicated to a wide array of approaches to music, especially the experience of music. As an alternative we can visit the Museum of Musical Instruments housed in the Hofburg Palace. A guided backstage tour and also the main areas of the building. NOTE: Tickets to performances can be booked by us but as much advance warning as possible should be given! It is one of the most famous Opera Theaters in the world and some of the best directors of all times have performed here. The list is almost endless, but to name just a few: Mahler, Strauss, Krauss and von Karajan. The origins of this Opera House are not very fortunate; one of its architects (Eduard van der Nüll) killed himself because he couldn’t stand the negative reaction of the citizens of Vienna to his work. The other architect (August von Sicardsburg) died soon after too. The Opera House was almost totally destroyed in the World War 2, but soon after was reconstructed following the original plans (it was reopened in 1955). Musikverein (the Music Society). The Vienna Philharmonic Orchestra – the Musikverein is the home of this world famous orchestra. Vienna, Mozart Denkmal. You can see here Wolfang Amadeus Mozart’s Denkmal sculpture. The famous composer was born in Salzburg in 1756, and died in Vienna in 1791. In Vienna you can also visit the Mozart Memorial, a house where he lived from 1784 to 1787 and where he composed his opera “The Marriage of Figaro”. If time allows you can also enjoy a visit to Beethoven’s Pasqualati house where he spent his later years ending with a visit to one of the most famous Coffee Houses right opposite the Rathaus. Other places of interest can be added according to your interest and available time. If you are a fan or student of Art Nouveau, there are few better cities to enjoy it than Vienna! In 1898, Joseph Maria Olbrich, a student of Otto Wagner, erected an Art Nouveau gallery building for the new association. In 1985-86, the cupola of the Secession was gilded anew and the Secession was renovated and adapted under the guidance of Adolf Krischanitz. NOTE: Nearby just past the Naschmarkt we can see several stunning examples of Art Nouveau apartment buildings. Otto Wagner, the pioneering architect of Vienna’s Art Nouveau era, was the designer in charge of the construction of Stadtbahn, a rail service running underground in some sections, as an elevated system in others, around 1900. He considered the project an important contribution to the appearance of the city and paid as much attention to the large structural elements, such as bridges and station buildings, as to the small details, such as railings, lamps, signs and inscriptions, realizing a total design concept in the construction. In 1969, subway construction (U-Bahn) began on the U1 line. Wagner’s Stadtbahn lines were converted into new subway lines, one of them (“Vorortelinie”) into a rapid transit line (S 45, since 1987). In the process, several of the old station buildings were beautifully restored (Wagner’s Court Pavilion in Hietzing, Schönbrunn, Stadtpark, Rossauer Lände, Währinger Strasse/Volksoper, Gersthof). One of the two Stadtbahn Pavilions is open during the summer season for an Otto Wagner documentation of the Vienna Museum. In addition to the Stadtbahn Pavilions, eminent works such as the Church at Steinhof and the Postal Savings Bank will be exhibited in drawings and models. The 2nd pavilion, next to Musikverein, is partly a café. Otto Wagner’s large bridge spanning Wienzeile and the Wien River was also preserved; it is now used by the U6 subway line, based on the former Stadtbahn line on the Gürtel. The Imperial-Royal Post Office Savings Bank was built between 1904 and 1912 by Otto Wagner, one of the most eminent architects of the beginning of the twentieth century. He also designed the interior architecture and furniture. Compared with other buildings dating from that time – such as the former Imperial-Royal War Ministry on the opposite side of the Ring Boulevard – Wagner’s style seems consistently modern and functional. The façade is covered with weatherproof granite and marble, and also aluminum – new for its time – is used inside and out: for example, on the railings and the figurines on the roof, the fittings on the door and the warm-air dispensers in the hall. The hall with its teller’s counters is open during the hours of the Post Office Savings Bank, which today is a private bank and is freely accessible. Church am Steinhof. Otto Wagner designed this church, which was built between 1905 and 1907, on the grounds of the Lower Austrian State Asylum, now the Psychatric Hospital of the City of Vienna. The copper-covered dome of this prime example of Viennese Art Nouveau architecture is visible from quite a distance, as the church stands high on the crest of the hill. The interior design was adjusted to the requirements of the handicapped parishioners attending services here. The glass mosaics in the windows were designed by Kolo Moser. The inside of the church can be seen only once a week in a guided tour. Central Cemetery. When Vienna grew into a city of more than one million inhabitants, the old cemeteries of the various districts became to small. To accommodate the growing capital, the Central Cemetery, with an area of about 495 acres, was opened in 1874. Coming from the center of the city, you pass Gate 1, which leads to the old Jewish section, a field of graves with many remarkable monuments. Continuing along the wall, you reach the main entrance (Gate 2), an Art Nouveau structure built by Max Hegele in 1905. Through this main gate, you walk on the main path toward the “Friedhofskirche zum heiligen Karl Borromäus” (Church of St. Borromeo), which is crowned by a large dome. The church, built by Hegele between 1908 and 1910, serves as the cemetery church and mausoleum of Lueger, the mayor of the city from 1897 to 1910. Both to the left (Groups 32a and 14a) and to the right (Groups 32c and 14c) of this main roadway is the Grave of Honour, probably the largest such arrangement of special honorary tombs in the world. Among many others, Gluck, Beethoven, Schubert, Hugo Wolf, Johann Strauss Father and Son, Lanner and Brahms are buried in Group 32a, Bruno Kreisky, Austrian Federal Chancellor from 1970 to 1983, Arnold Schönberg and Robert Stolz in Group 32c. Directly in front of the Memorial Church is the mausoleum in which the Austrian presidents who have died since 1945 (Renner, Körner, Schärf, Jonas) are interred. Mozart was given an honorary monument in Group 32a, but his actual grave is in an unknown location at the Cemetery of St. Marx. Across Simmeringer Hauptstrasse from the main gate is the Crematorium, built by Clemens Holzmeister in 1922 in the style of an oriental fortress. Further along the wall of the cemetery, you reach Gate 3, a secondary entrance and entrance to the Protestant section; and Gate 4, the access to the new Jewish section which has been in use since 1928. A detailed map of the Central Cemetery and its Grave of Honor can be bought from the cemetery guard at Gate 2. Belvedere. This baroque architectural jewel consists of two palaces (Upper and Lower Belvedere), which today house Austrian art from the Middle Ages to the present day. Prince Eugene of Savoy (1663-1736), successful general and art connoisseur, had the Belvedere garden palace built by Johann Lukas von Hildebrandt as his summer residence – at the time it was still outside the gates of the city. Upper Belvedere – world’s largest Klimt collection. At the heart of the collections at the Belvedere are the works of Gustav Klimt with his golden paintings “The Kiss” and “Judith”. The masterpieces by Schiele and Kokoschka as well as works of French Impressionism and highlights of the Vienna Biedermeier era (Waldmüller, Amerling, Fendi) that you will see here are every bit as impressive as the paintings of Makart, Boeckl, Wotruba, Hausner, Hundertwasser and others. Leopold Museum. Hundreds of masterworks of Austrian modern art collected by the passionate art lover Dr. Rudolf Leopold are shown in the new Leopold Museum at Museums Quartier near the Imperial Palace. The Leopold Museum is a unique treasure-trove of Viennese art nouveau, the Vienna Workshop and of the Expressionist period. As the most-visited museum in the most fashionable cultural place in the city, the MuseumsQuartier, it houses the most important and largest Egon Schiele collection in the world as well as masterpieces by the founder of the Vienna Secession movement, Gustav Klimt . In addition, the Leopold Museum is also showing exhibits of the Vienna Workshop from Josef Hofmann to Koloman Moser , which are considered to be unique artworks of international design history. Depending on your interest and time available these tours can focus on many periods and themes. It is possible also to combine periods and visits. Below are some of the major buildings and museums we can focus on to whet your appetite but there are many others we can add or substitute. Some possibilities to focus on would be Imperial Vienna, Baroque Vienna, Modernism and Art Nouveau, Otto Wagner and his followers, Modern Urban Architecture, a complete tour of the Inner Ring Road stopping at the major sites and buildings, the architecture of Vienna’s splendid Coffee Houses etc. Capture mesmerizing city views of Vienna and combine these with good food and wine for a memorable tour of Viennese nightlife. First we drive along the Ringstrasse to the Prater, a Viennese amusement park. 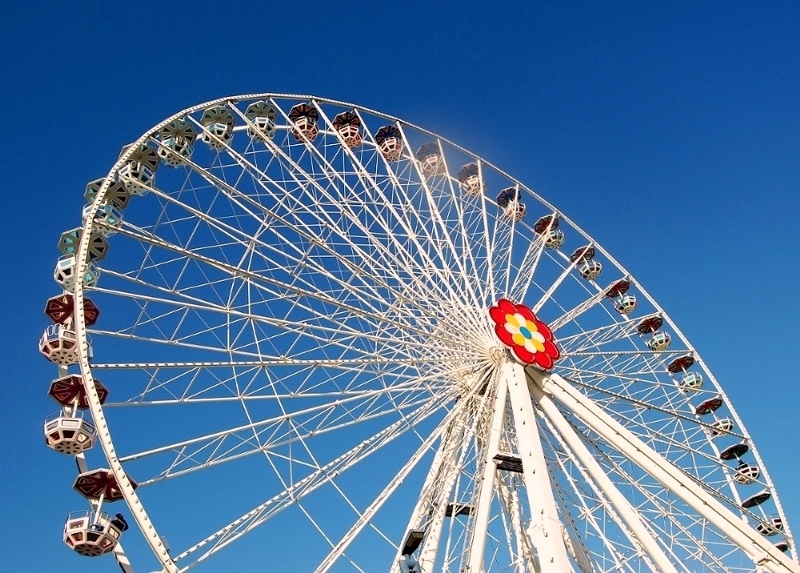 Here you have the opportunity to enjoy the rides and cafes and board the Giant Ferris Wheel for a marvelous view over the city. We then proceed to the North-west outskirts of the city arriving at the famous wine village of Grinzing. After a short walk through the village and past the many taverns we enjoy an evening meal including the local white wine at a traditional Viennese wine-tavern (Heurigen).